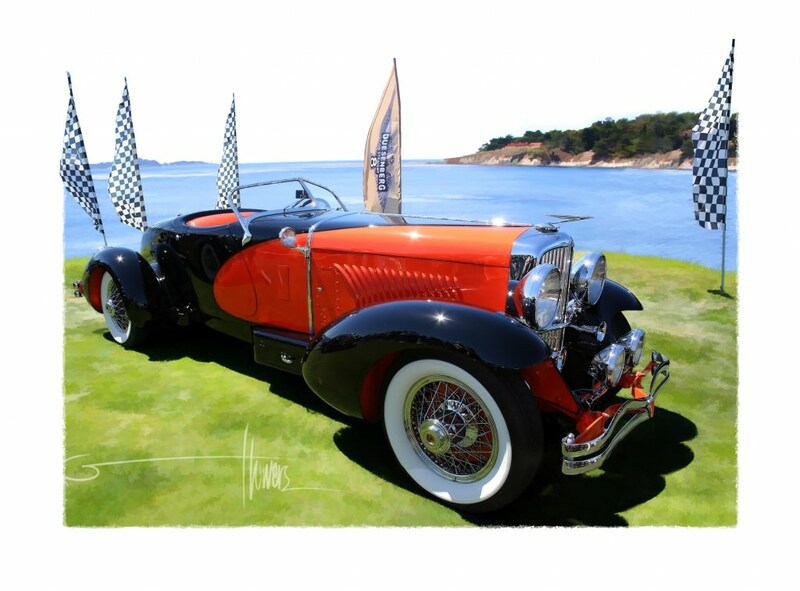 The Duesenberg Model J debuted at the 1928 auto show and made quite an appearance. The car was fairly heavy, considering the frame alone weighed about 2,000 pounds, which is not much less than a fully-assembled car weighs today. However, people did not hold the vehicle’s excessive weight against their high opinion of the vehicle. In fact, most people considered the vehicle to be the American version of the Rolls Royce, Mercedes-Benz and a variety of other luxury car brands. The Duesenberg model J had an original price of $8,500, but, when inflation is figured into the picture, it would sticker for close to six figures today. This Model J featured a V8 engine, which produced about 270 horsepower. However, a fully-assembled model J weighs over 5,000 pounds, which is close to the weight of a quarter ton truck today. People fell in love with the uniqueness and elegant appearance of this fancy car, so they were not concerned about how fast it went. Other resources say that it was the fastest production car during this time period, with a top speed of over 110 miles per hour. In 1932, Duesenberg released a supercharger option for this vehicle, which increased the horsepower rating to 320 and it could reach a top speed of near 130 miles per hour. Even though super-cars of today can reach speeds over 200 miles per hour, it is incredible that such a heavy car could reach 130 during that time period. Today, the Duesenberg Model J is extremely hard to find. Interested buyers will likely have to find one at an exclusive auto auction, but they better bring a thick wallet, because the most recent sale was nearly $2 million. This would look great in any collector’s garage, if the person has enough luck and money.